There will be several changes in Nikon's product map as a result of the recent forecast cuts. As you can see from the above Q&A session, Nikon is planning "to launch new products in the latter half of the fiscal year expect a shift towards newer products that have higher profit margins". I already mentioned that I expect three new Nikon DSLR cameras by the end of the year (the actual announcement could be in the first week of 2014 for the CES show): one full frame camera (probably D4x), one entry level DX model (probably D1000). The third camera is still not clear: it could be anything from a mirrorless to a SLT based or a retro design. Upcoming lenses are always more difficult to predict, especially with the latest changes in Nikon's product map. 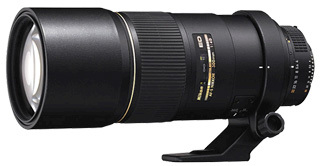 At that point I expect Nikon to release a new Nikkor AF-S 300mm f/4G VR lens which will be the long awaited replacement of the current Nikkor AF-S 300mm f/4D IF-ED ($1,369.00). Expect better image quality and higher price similar to the recent 80-400mm upgrade. I was told that this lens already has an assigned internal number which is usually an indication for announcement in the next 1-3 months.